Redland Art Gallery, Cleveland is set host a new travelling exhibition by MGA, Australia’s only gallery dedicated to the collection and exhibition of photographs. Australian exotica, showcasing the works of some of Australia’s most celebrated photographers, will be on display from 21 October to 2 December 2018, following an opening event at the Cleveland gallery on 19 October. Featuring the work of 11 photographers – including Brook Andrew, Michael Cook, Destiny Deacon, Peter Dombrovskis, Marian Drew, Leah King-Smith, Joseph McGlennon, Tracey Moffatt, Darren Siwes, Robyn Stacey and Christian Thompson – the exhibition is an important part of MGA’s commitment to making its collection widely accessible and to promoting the work of Australian photographers. MGA Curator, Stella Loftus-Hills, said the exhibition highlighted an intriguing aspect of MGA’s collection of Australian photographs, a seemingly endless fascination with the exotic antipodes. ‘This exhibition includes prominent Australian photographs that relate to what it means to be an Australian, or at least what someone looking in might think about this country,’ Ms Loftus-Hills said. RSVP online or phone 3829 8484. Join us for morning tea and hear from exhibiting artist Marian Drew. 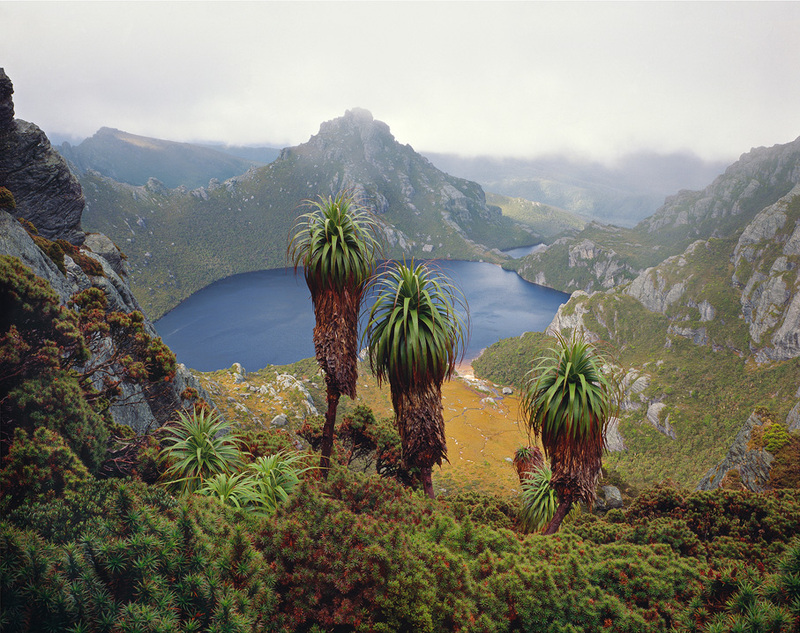 Peter Dombrovskis, Lake Oberon, Western Arthur Range, south-west Tasmania 1988, pigment inkjet print. Monash Gallery of Art, City of Monash Collection acquired 2015. Reproduction courtesy of the Estate of Peter Dombrovskis. Posted in Arts and tagged .